Good Thursday, everyone. Rounds of showers and thunderstorms continue to target the region today as low pressure gets ready to pass through. This is all part of our active setup that looks to close out April and begin the month of May. The greatest concentration of shower and storm action continues to be across the west and north. Farther south and east, the action is much more scattered, allowing temps to warm much more. This is not a washout of a day, with several dry hours showing up. The rainy weather increase by the evening into tonight as low pressure works in. Sunday is a seasonally cool day that may send Sunday night temps into the upper 30s in a few spots. Warm air quickly takes over next week as readings go back to being above normal. 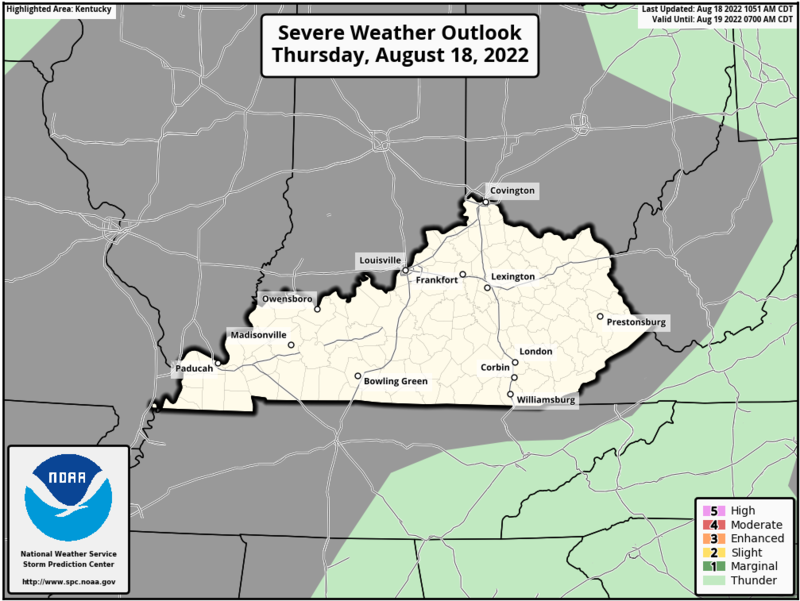 This will also give us a daily shot at a few thunderstorms and we may see that take us through Kentucky Derby Weekend. Enjoy your Thursday and take care. Good Wednesday, folks. I know this won’t come as a big shock to anyone, but the wet weather is back in the bluegrass state. This wetter than normal pattern has become the norm around here for the past several years and Guess what? It really doesn’t show any signs of changing. Could a kiss of frost follow that by Monday morning? We shall see. Until this multi-year pattern breaks, persistence forecasting really is the way to go. Enjoy the day and take care. Good Tuesday, folks. We have a weak cold front dropping into the region from the northwest and this is bringing a few boomers back to the bluegrass state. This kicks off a pattern featuring more widespread showers and storms through the rest of the week. Temps today are in the mid and upper 70s with a local 80 possible. Southwest winds gust up ahead of our weak front, with a broken line of showers and storms moving in from the north by late today into this evening. A few of the storms may be strong.